Paypal announces Paypal Here, an integrated global mobile payment solution for Android and iOS. Paypal today announced “PayPal Here” a mobile payment solution for iOS and soon Android. The new services utilizes a free smartphone app and an encrypted card reader to enable users to send invoices or accept debit and credit cards, checks and Paypal using one integrated product. Currently, Paypal Here is in limited release but you can sign up to be notified automatically when it becomes publicly available. 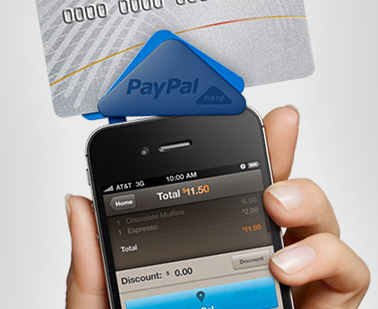 In the U.S. and Canada, the PayPal Here card reader and merchant app are free. You pay 2.70% for swiped transactions and PayPal payments, and 3.5% + $0.15 if you type in the credit card information manually or scan the card using the Scan Card feature. Square is a mobile payment system that features an app and a compact ‘square’ card reader that plugs into the 3.5 mm headphone jack that allows iPhone and Android smartphones to accept credit card payments. When I first heard of Square back in May of 2010, my first thought was what a great concept! 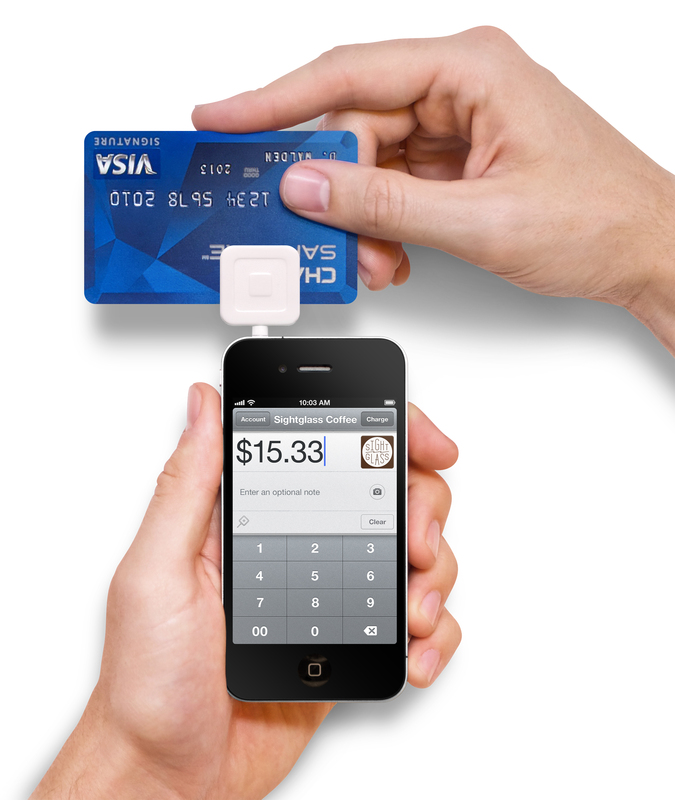 Square seemed to be the next evolutionary step in mobile payments. Twitter co-founder and former CEO Jack Dorsey stated his goal for his startup Square was that “it become a simple payment utility for everyone.” Accepting credit card payments everywhere without requiring a merchant account, monthly fees or minimums will revolutionize credit payments for individuals. According to Square you can accept credit card payments using Visa, Mastercard, American Express and Discover for 2.75% per swipe, that’s it, no additional fees. If you enter credit card numbers manually, your cost is 3.5% +15 cents per transaction. The funds are direct deposited to your bank account the next business day. With Square, the app and card reader are both free.